Just the other week, BMW said in a statement that they are employing a special task force to find out ways to deal with the oncoming Brexit and its potentially damaging effects. As it turns out, it seems like that task force brought up some very disturbing news, as this week a high-ranking official talked about potentially closing the UK plants the BMW Group owns in case the supply chain is drastically affected by the UK’s departure from the EU. Speaking to Financial Times, BMW’s customs manager, Stephan Freismuth said that no matter how well the company prepares, sometimes things might just be out of their hands: “We always said we can do our best and prepare everything, but if at the end of the day the supply chain will have a stop at the border, then we cannot produce our products in the UK.” The big problem here is the way BMW is manufacturing its cars, using the so-called ‘just in time’ model. This implies having the materials needed for manufacturing arrive just in time to be assembled, thus reducing the need of a large inventory which would require additional financial efforts. Since about 90 percent of the parts used in BMW’s UK plants come from mainland Europe, this would be a big deal. 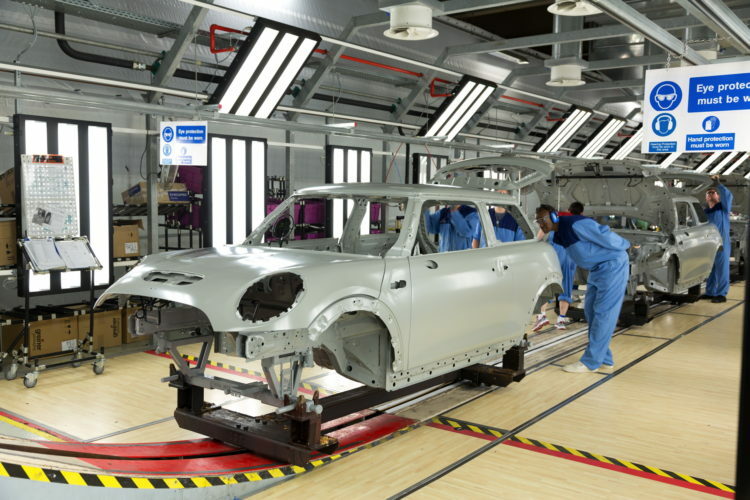 Changing this way of manufacturing cars would increase costs and affect the profitability of its cars, which is a problem especially for MINI cars that are hard to make profitable in the first place. Nevertheless, this is just a hypothetical situation at the moment and BMW clearly stated that they remain hopeful this won’t be the case: “We remain committed to our manufacturing operations in the UK and continue to operate business as usual, as we work through a range of possible Brexit outcomes and their potential impact on our business.” However, they did say that this current uncertainty about the future of the UK in the EU and how the negotiations are going make it hard for the company to plan on the long run.